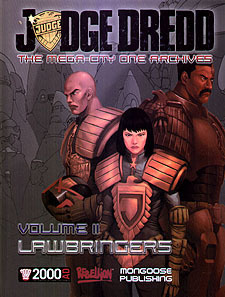 The second volume in the series profiles the men and women who are the backbone of the Justice Department; the enforcers and undercover operatives that bring order to the chaotic streets of Mega-City. Some are stern and honest upholders of the law, while others have fallen from grace to become criminals themselves. Together these Judges represent a cross-section of all that is right and wrong with law enforcement in the 22nd Century.